The location where the burial grounds were. 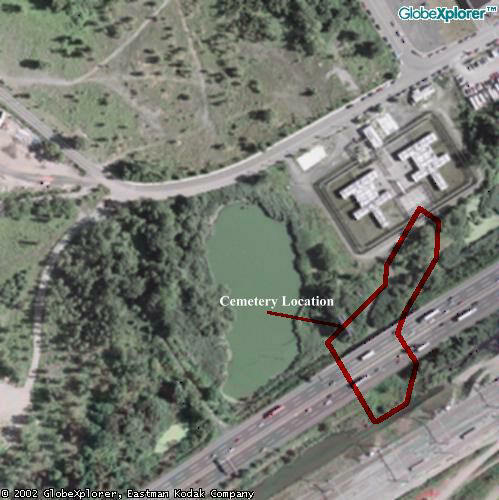 On surrounding property is where the remaining burial grounds are believed to be (lower left of photo). This aerial photo is prior to the construction of the New Jersey Turnpikes Secaucus Interchange 15X.